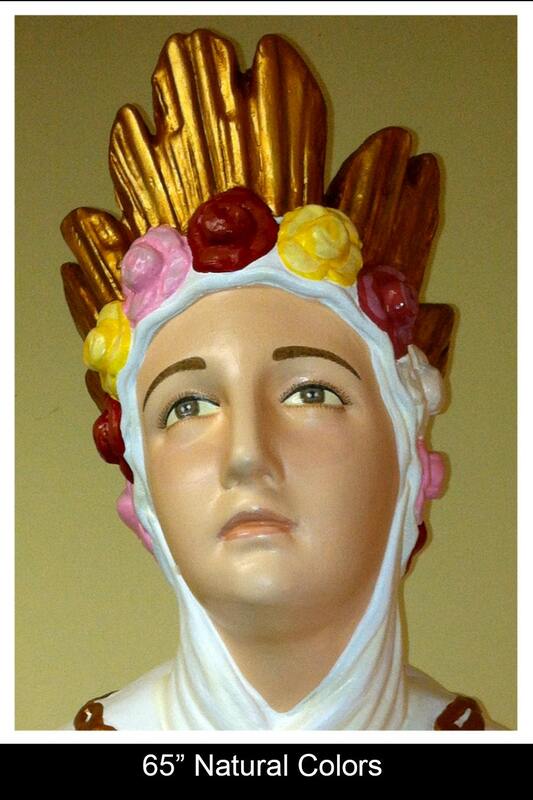 Our Lady of La Salette 65"
- Appeared to two young shepherds, Melanie Calvat and Maximin Giraud in France. - Patroness of conversion of sinners. 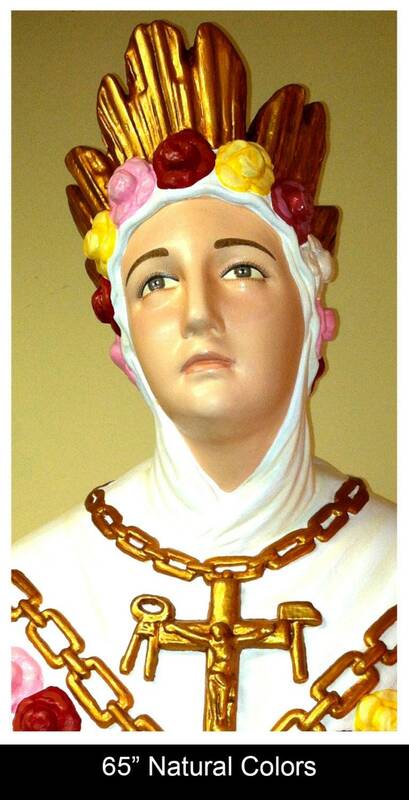 This 65" white Fiberglass very rare statue shows Our Lady as she appeared at La Salette, France, as she solemnly prays for the conversion of sinners. 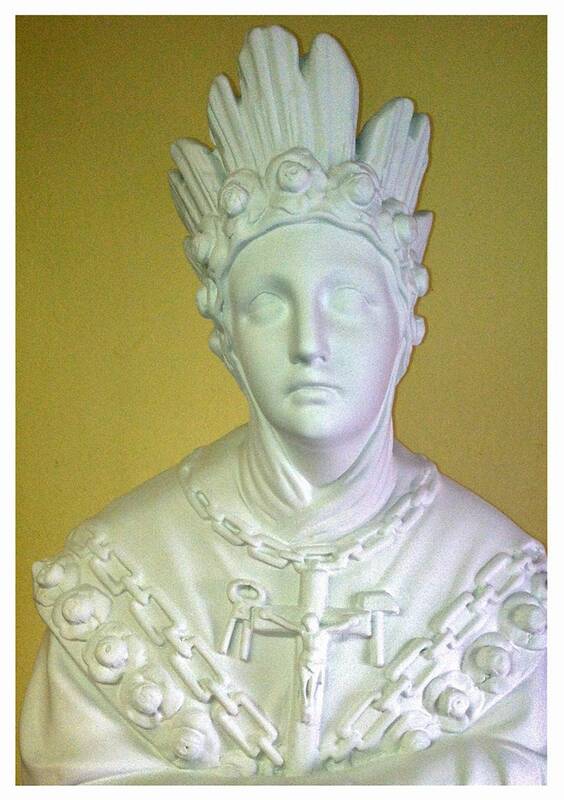 A most beautiful statue of Our Lady of La Salette! The detailing is magnificent right down to the bow on the back of her dress. 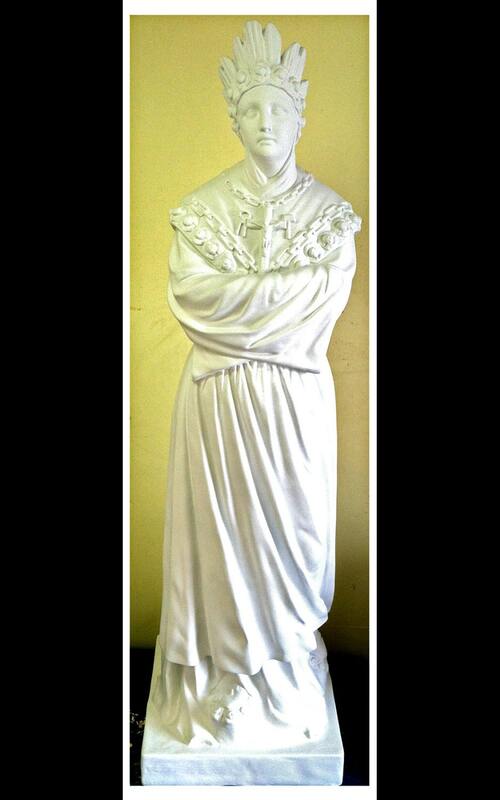 We purchased the statue in memory of our deceased aunt for our parish Church's pastor. The statue wasn't expected to be shipped until the end of January 2019, but we got it during the second week of December 2018. It has been my pleasure to do business with HeavenlySaints.